Please explain to me WHY I have not read this book yet? Am I just an idiot or do I have an aversion to amazing novels? 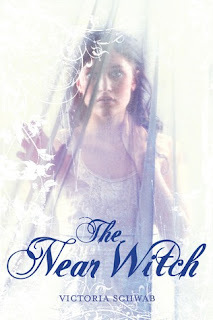 I have not read one bad thing about A Near Witch!! It sounds.... wow. The writing sounds absolutely beautiful and aw gosh, I'd read it just to meet Wren. Adorkable kids have a way of burrowing into my heart :) And man, this romance..... GAH. It sounds like such a sigh-worthy bond. Damn you and your brilliant review. I WANT. NOW. I'm glad you loved this one. I always enjoy when I can not put a book down for the life of me. I have now read several great reviews on this book so I really need to read it soon because Cole sounds dreamy lol.